Note: The years given in Ricart represent the year to 14 September of the listed year. So the year 1497, for example, covers the period, by the modern calendar, 15 September 1496 - 14 September 1497. 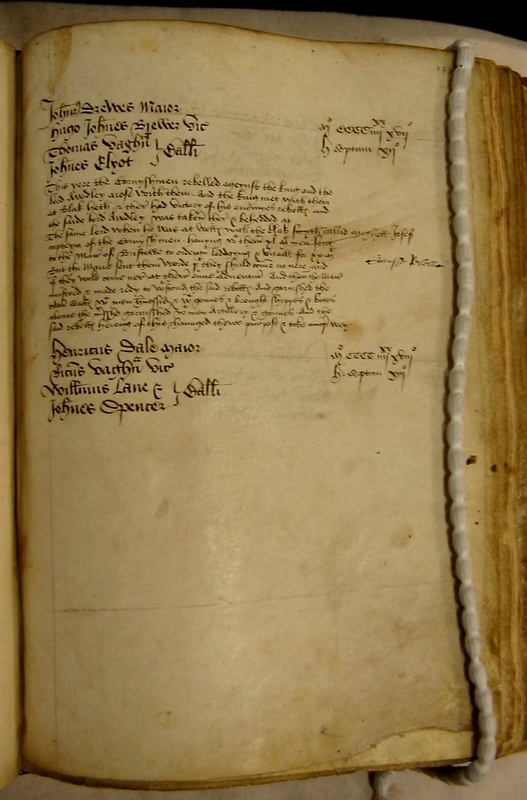 This is why, for instance, the entry for 1497 (above) discusses the Cornish Rebellion and the Battle of Blackheath (17 June 1497).